After graduating from high school in Sulphur Springs, Marlin enrolled in Texas Technological College in Lubbock, Texas in 1930. In 1936 he graduated from that institution with a degree in electrical engineering. During his years as a student at Texas Tech, as the college was called, Marlin was very active in extra curricular affairs. In 1932 he was a Yell Leader. In the engineering society, he was in charge of publicity for the engineering show. Upon matriculating from Texas Tech, Marlin's first job was in Dallas, Texas at the Texas Centennial Exposition. The position, which ran from June to November, was at the General Electric Corporation booth called "The G. E. House of Magic." After this assignment, he was transferred to the Corporation's plant in Schenectady, New York, where he spent 11 years working there and at Fort Wayne, Indiana, and at Chicago, Illinois. Marlin returned to Lubbock, Texas, in 1947 where he became a professor in the Electrical Engineering Department at Texas Tech. He served in this capacity for four years. After his stint at Texas Tech, Marlin and his wife Frances Walkup Minter, whom he married in 1949, opened a repair business for small electrical appliances in Lubbock in 1951. It was called the Reparzit Shop, and was located at 1915 19th Street. Later the name was changed to Minter's, and it still remains an operating business, although under different ownership. Marlin and Frances were married 36 years. Frances courageously battled cancer for 14 years, but finally lost the war and passed on in April, 1985. She was buried at her hometown of Quanah, Texas. 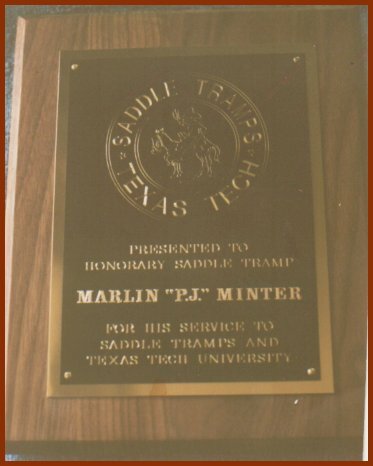 In March of 1991, Marlin was chosen to be an honorary member of the Saddle Tramps of TTU. This distinction was bestowed on Mr. Minter in honor of the many things, including service time, and financial assistance that he had graciously given in support of Texas Technolgical University over the years. Marlin was a resident of the Lubbock Hospitality House from 1991 until he passed away in April of 1995. He was laid to rest on April 6th beside his wife at Quanah, Texas. 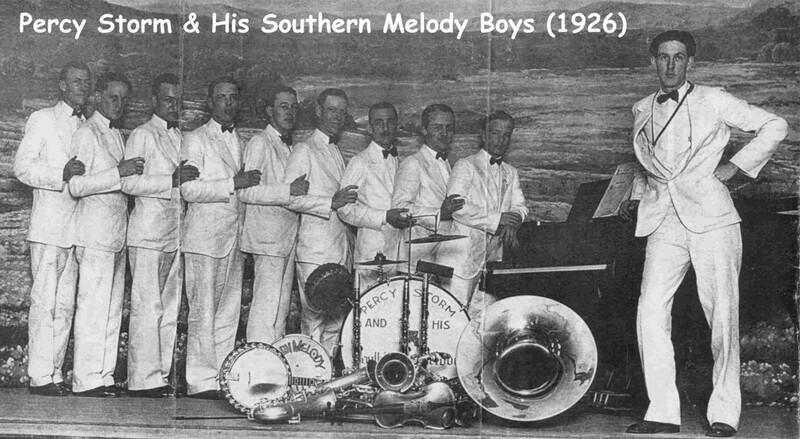 Marlin P. J. Minter was born July 3, 1909 in Pine Forest, Texas, in Hopkins County. He was the son of the late Dr. and Mrs. 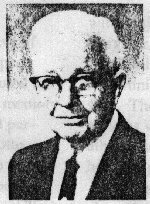 Guy Z. Minter, and a grandson of the late Captain and Mrs. S. A. Minter. Pine Forest is a small community in northeast Texas. Although born in the community, Marlin spent much of his growing up years in Sulphur Springs, Texas, the county seat of Hopkins County, which is about 14 miles northwest of Pine Forest.